Make your hotel reservations now and save! NSTA has negotiated special room rates with three hotels near the Moscone Center West in San Francisco. You must make your reservation through Orchid.Events to receive these special rates. Reservation can be made online, phone, fax, or mail. Reservations made online require a credit card to complete the reservation. Reservations with payment by check must be mailed. Make your hotel reservation now using our online reservation option. Using this system, you can make real-time reservations through our secure housing website. Orchid.Events is the ONLY NSTA designated housing provider for this event. Call 877-352-6710 (toll free) with any questions regarding your reservation or making a reservation. An staff person is available Monday through Friday between 9:00 AM and 8:00 PM Eastern Time. 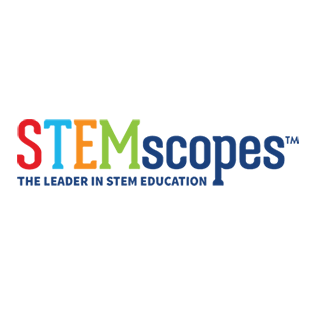 **Beware of companies misrepresenting themselves as affiliated with NSTA or the 8th Annual STEM Forum & Expo. Do make sure to make your reservation through the Passkey to get the special STEM Forum hotel rates. Making reservations through the hotel directly, or through a central hotel reservation number, will not guarantee that you receive the NSTA special rates. Do not fax your Housing Request Form to NSTA. This will delay the processing of your hotel reservation. If it is necessary for you to cancel your reservation, do so as soon as possible to avoid penalty. NSTA has made arrangements with several major airlines to offer discounted fares to the 8th Annual STEM Forum & Expo, hosted by NSTA. Go online or call NSTA-designated airlines toll free and use the following NSTA codes to receive discounts off even the lowest promotional fares. Please note that each airline has different booking policies. The discounts below apply for travel between July 21 and July 29, 2019 (San Francisco, California) at San Francisco International Airport (SFO) and San Jose Airport (SJC). United Airlines—Receive discounts by booking online via united.com using Z CODE: ZFNT and Agreement Code 889881 or by calling the United Reservations Meetings Desk at 800-426-1122 and providing the Z Code and Agreement Code.